Well, spring is with us and it’s that time of the year again when the focus is on vine health and the all important crop. The sun is shining and mid morning breeze is warming and coming from the north east. There is the promise of the regular afternoon sea breeze and standing out in the vineyard I can feel the energy of the vines as they are growing and preparing for flowering. I’m out in the vineyard collecting leaf blades so that we can send these away for nutrient analysis and check the health of the vines prior to flowering. A quick check of the vines for pests and disease while we are walking through adds to the enjoyment and saves the manager some time and gives a second set of eyes. 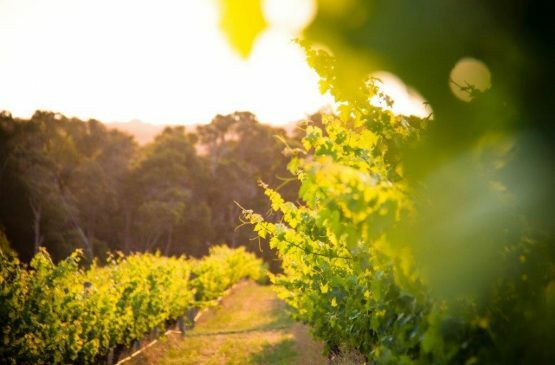 Many vignerons across the Margaret River wine region understand the importance of vine health and how this can influence the quality of fruit at vintage. The best outcome at vintage is not necessarily obtained from the biggest healthiest vines but generally there is considered opinion that suggests that a balance between plant health and induced stress at key times throughout the reproduction cycle will help to create more attractive fruit for winemaking. We are now entering the flowering period for all varieties of grapevines in the region and as a lead up to flowering it is so important to have the vines healthy and well supplied with nutrition. We are fortunate that the climate we enjoy generally provides adequate soil moisture at this time and therefore while it is worthwhile checking the moisture status of soils going into flowering, very seldom is it necessary to apply supplementary irrigation at this time. It is the discerning growers aim to ensure that the vines are at peak health and free from pest and disease at flowering to ensure a plentiful crop will eventuate. Importantly, the level of trace minerals that are in the plant will also influence the flowering and therefore the end crop. We know that deficiency of trace elements such as molybdenum, boron and zinc can reduce fruit set or create symptoms like “hen and chicken” (very small berries without seeds alongside normal berries on a bunch). The grower will use a combination of soil testing, leaf analysis and visual assessment to determine the availability levels of these traces elements in the vine and then correct deficiencies with a combination of fertiliser applied through fertigation, foliar spray or both. This testing is best done prior to flowering to allow remedial treatment if necessary. Recently there has been a trend towards sampling leaf blades for nutrients instead of the traditional petiole (the connecting stem between the leaf and the shoot). This is due to the leaf blade providing a more stable sampling method than petiole, therefore less influenced by short term environmental changes such as temperature, sunlight and moisture. The grower uses the leaf blade analysis results along with soil analysis to determine if any short fall in the grapevine has been influenced by the availability of elements in the soil or maybe a shortfall in uptake by the grapevine root system. In many cases the influence of seasonal weather conditions results in a shortfall in uptake by the plants root system and this is then corrected by the application of foliar nutrients. While this may all seem complex, there are many capable service providers in the industry and the techniques are applied to most horticultural crops, you may even do this at home with your garden or lawns. The outlook for wine quality from Margaret River is in good shape and looks promising for another amazing vintage. 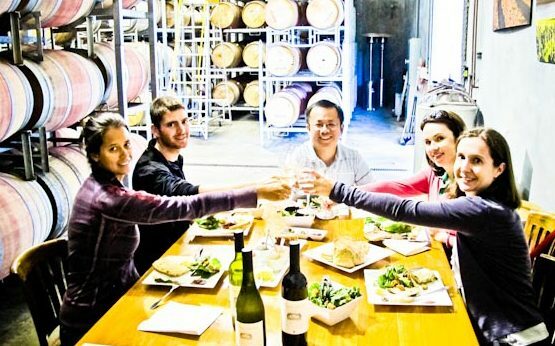 The viticultural teams are working well to ensure the best presentation of vines and fruit for the coming Gourmet Escape week in November. The Gourmet Escape is promising to be the biggest event in the history of our region and I have my ticket to Heston Blumenthal’s Icon dinner… Excitement! 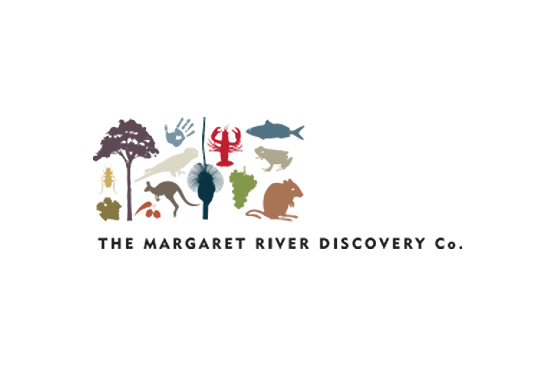 Then there is the Margaret River wine show a few days later at the end of November… time to get the Tux out and dry cleaned for a night of anticipation and celebration. 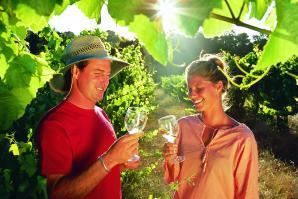 Honestly, there is so much fun to be had in the Margaret River wine region! You just need to be here to see and enjoy it! !